In 1922 Greytown citizens donated £1 per fallen soldier to establish an avenue of remembrance of 117 lime trees at the memorial park. Wooden plaques by each tree, identifying the soldiers, have long since disappeared. 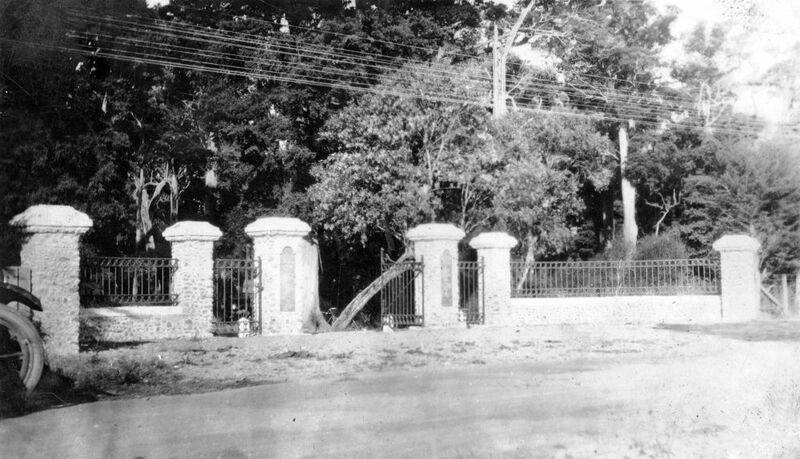 On Anzac Day 1923, memorial gates to the park, inscribed with 66 names, were unveiled by Greytown Mayor William Hutton. In attendance were Alexander McLeod, MP, Quentin Donald (Featherston County Council), John Card (Mayor of Featherston), Orlando Pragnell (Mayor of Masterton) and Brigadier-General Herbert Hart. The park was developed as a sports ground and a World War Two memorial swimming pool was opened within the park in 1957.